April 2008 | Makiko Itoh : Not a nameless cat. The fun thing about house hunting in Europe is that you run into all kinds of fascinating old places. You don't really get that in the U.S., or in Japan either, where people tend to knock down houses and rebuild (the land is the important thing). 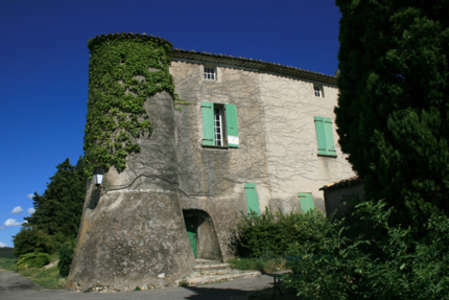 This place for instance, is a 12th century stone built manor house that used to be owned by the Knights Templar. It is near a village called Villedieu (literally, Godtown). Surely the worst real estate ad photos ever. Fairly sure I wouldn't want to live here though. I truly wonder what was going on through this person's mind when they uploaded not one, but three slanty-pics like this.